A project is currently underway using the NVAR data for ground truth database development. This includes the complete analysis of seismic events on or near the Nevada Test Site. 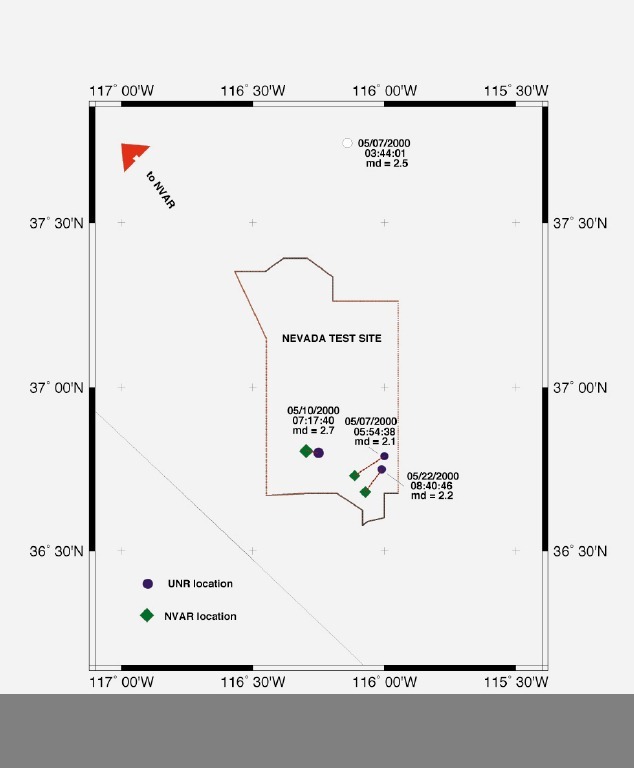 are represented on a map of the Nevada Test Site. The map is updated on Monday each week. we process the NVAR (Mina, Nevada array) seismic data as well. Back to the SMU Geology homepage.